Hotel staff weren’t helpful, no window in our room, fan/aircon sounded like a chopper plane, thought I was in the Good Morning Vietnam movie, no hot water, ceiling was crumbling down, no wifi & couldn’t even get proper mobile reception, landline ph was terrible, very glad we never ate in the hotel restaurant or cafe as we never saw any customers dining in their either so that’s a sign not good times too. Very central location but you shouldn’t go out at night so dangerous & the only good thing to come out of it all was when we checked out early to go else where, we got a refund which was easy via Agoda. Don’t be fooled by the cool patterned wall paper/painted walls, the photos only show the very best rooms as our rooms were nothing like it! Don’t waste your money or time at this place. The staff at the reception was very rude. I wont recommend for international solo travelers. The hotel is more like school hostel. 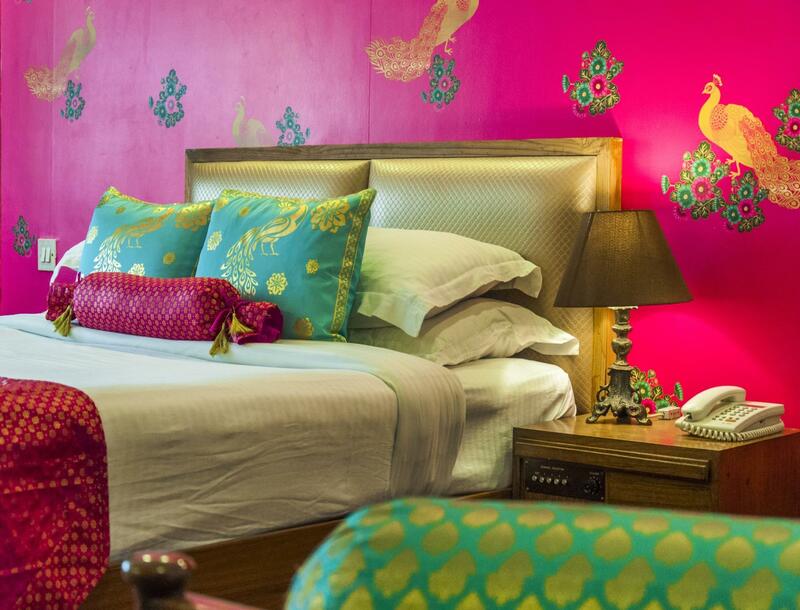 My friend and I loved staying at the Alka Hotel, it is conveniently located in Delhi, close to three metro stations including the airport line and many delicious and well known restraunts aNd a short auto rickshaw ride to places like India Gate, the Art Gallery, Lodhi Gardens etc. The staff go out of their way to assist you. The location of the place is in the center of the city. This is good for business trip. There is no hot water in the shower. We were charged when we had early breakfast outside the 8am to 10am period. Not the hotels fault - two clubs next door Pumping music until 1 in the morning. Bass sounds reverberating through the floor into the bed. Couldnt sleep unless we had the air conditioner full on - and then the noise of it kind of muffled the bass. Also the smell from the bathrooms was incredible and we had been travelling in India for 7 weeks. Much differ from the pictures. Really disappointed. This was an overnight stay on our way from Goa to Amritsar. We have stayed in Connaught Place before and found it a convenient location. The surrounding area was mucky and this particular part was not as attractive as many parts of Connaught Place which was rather disappointing but for the price and just overnight, it was ok. I would not choose to be here for more than 1 night - it is a business hotel rather than ideal for tourists. The hotel is just off the central area of Connaught Circus and relatively close to the Nw Delhi railway station. The rooms are clean, although not very big. Breakfast offers both continental and Indian dishes. Old and run down hotel in a good location. Apathetic staff. Over priced for what its worth. The location is the only advantage. Very bad value for money. Dingy room. Too small. Inadequate breakfast. I stayed at low season. However, the price that was charged is the maximum that one should pay for this hotel at any time of the year. It is just its very central location that perhaps people end up paying a lot of money. Else not worth it. Location of the hotel is good. The hotel is conveniently located near the railway station and also not far from the Pragati Maidan. I would like to say that one should book this hotel when you don't have any other choice near connaught place. The hotel staff was good. The rooms were neat and clean but they were small and did not have any ventilation. The hotel is good for solo travellers. สถานีรถไฟใต้ดิน Rajiv Chowk - ระยะ 0.34 กม. สวนโลดี - ห่างจากที่พัก 4.56 กม.